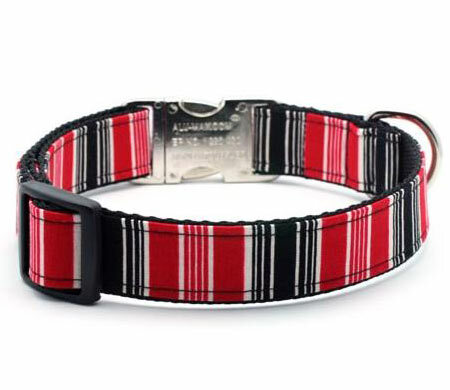 Red striped dog collar and leash, personalized with a custom engraved buckle, by Flying Dog Collars. Sizes from extra small up to extra large. 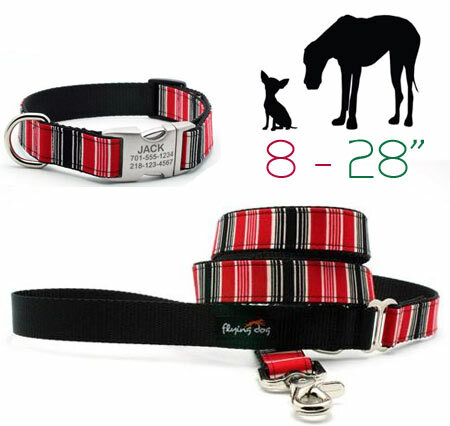 The Jack Designer Dog Collar with Personalized Buckle is a stylish red, black and white striped collar. for tiny and extra small dogs, for puppies, for toy dog breeds, for puppy dogs, for small dogs, for medium dogs, for big dogs, and for giant dogs, extra large dogs...! 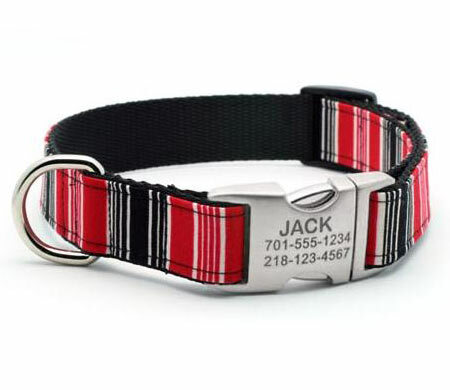 Striped Designer Dog Collars personalized with custom engraved buckle for your dog's name and address, ID info. 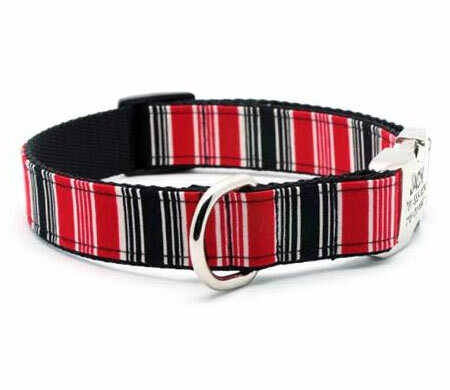 Black, white, red striped ribbon on nylon, very stylish. Extra Small 8 inch, Small, Medium, Large, Extra Large up to 28 inch neck. For tiny dog breeds, extra small dogs and small puppies, small, medium, large and extra large dogs, up to neck size 28 inches!